Margot has been grudgingly letting me do her hair sometimes. Today I convinced her to let me try french braid pigtails. The results are adorable beyond words. That is pretty darn cute. 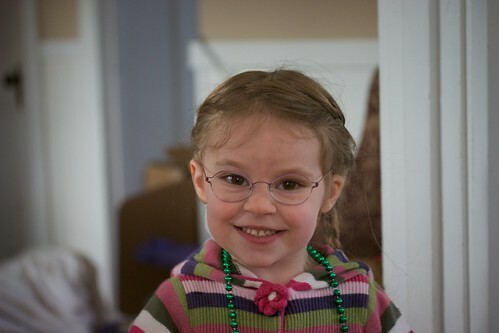 But you know, Margot wins every time because little kids with wire-frame glasses are the cutest.